The coach of Conor McGregor insists the UFC star has "improved phenomenally" in camp ahead of his hotly anticipated boxing bout with Floyd Mayweather Jr.
McGregor will face undefeated boxer Mayweather in Las Vegas on August 26 with the latter a strong favourite to prevail. The contest will land at the T-Mobile Arena. While Mayweather has a perfect record from 49 fights, McGregor has never boxed professionally and saw sparring partner Paulie Malignaggi leave his camp last week amid a row over leaked photos. Mayweather, 40 years old, returns to the ring for the first time since announcing his retirement back in September 2015, after dominating Andre Berto over twelve rounds at the MGM Grand. 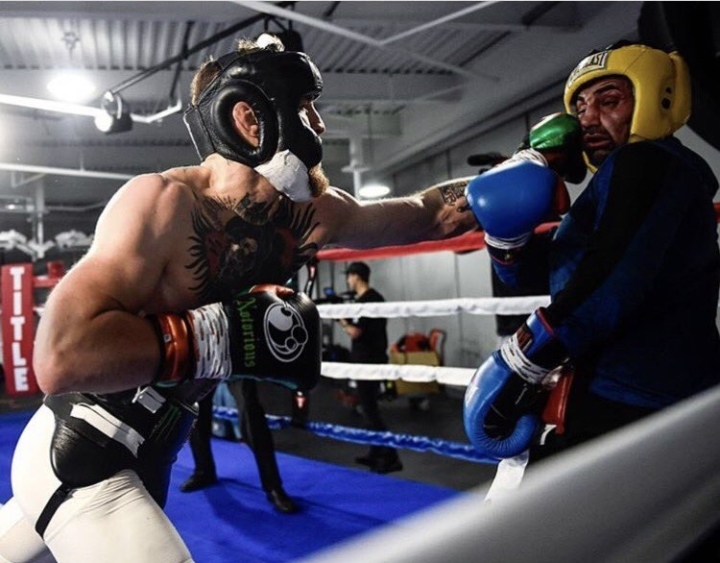 McGregor and Malignaggi, a former two division world champion, were sparring hard in camp - which led to a bad falling out in the training camp. McGregor claims that he worked Malignaggi over. McGregor's coach, Owen Roddy, told Sky Sports: "We're all very happy and very excited. Conor improves on a daily basis. The Conor of today is better than the Conor of yesterday. He gets better every day, every week. "We've got another three weeks, so there will be huge improvements again. He is such a good student. He has a great ability to pick up on things. I don't know how he does it. I've never seen it before from any student. From the start of camp to now, he has improved phenomenally and he will continue to improve over the next couple of weeks. It's so exciting." Paulie is right, this guy sounds more like a cheerleader than a coach! It's a shame they are not using boxing coaches. 'Improved phenomenally' says who, another guy with a 0-0 record?